Over the weekend we had a Mighty Empires campaign at Chez Dunn. It involved eight gamers, two BBQs and six campaign turns. James finished on 4 points, Mike 6, Cody 7, Glen 8, Joel 9, Wil 12, Ryan 14 and I had 15. Hopefully over the coming months players will continue to use the campaign as a background for their games. Whenever they play a game where two empires are adjacent then the opportunity exists to treat it as a ME clash. 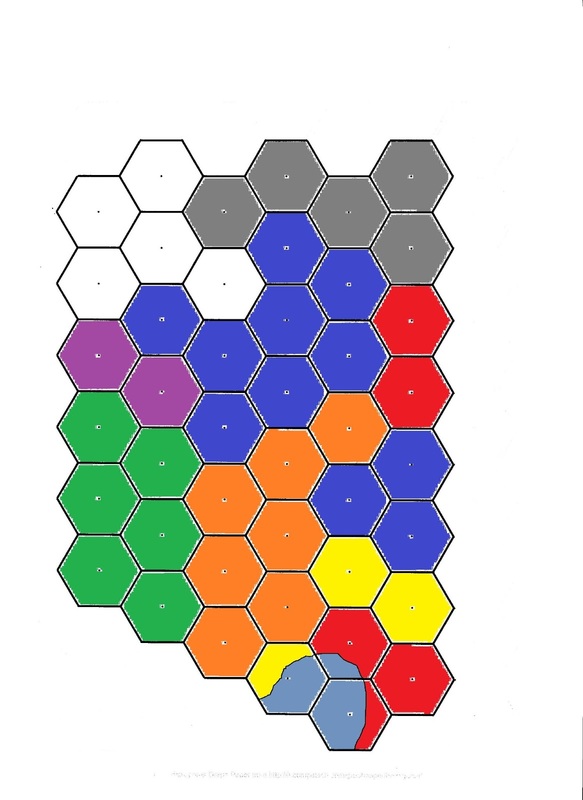 Should the battle end more than 15-5 to either player then a territory changes hands. Advise me and I can update the map. Later in the year I am hopeful to run a second weekend of campaign turns. I'm keen for the continuation of the campaign map. The blood dragons never refuse a challenge so feel free to approach me for a game whomever is adjacent to me and wants a slice.